BARRY Russell has quit as Cronulla chief executive after a turbulent year at the NRL club. Speculation had been mounting that Russell - who self-reported the club's salary cap breaches to the NRL, ultimately leading to a hefty fine, a salary cap penalty and the departure of coach Shane Flanagan - would leave his post after seeing the Sharks through their crisis. Russell's decision to self-report the club's alleged bookkeeping discrepancies reportedly resulted in him falling out with some senior officials at the club. 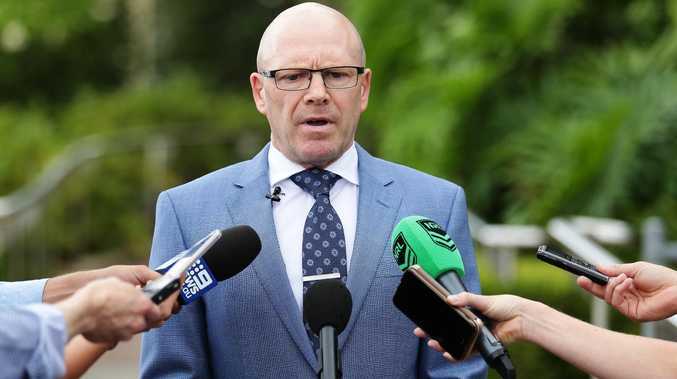 His decision to open the club's books up to an NRL Integrity Unit investigation resulted in NRL boss Todd Greenberg suspending $500,000 of the club's $750,000 fine for its salary cap breaches. He said Russell's decision had saved the club the full $500,000. The Daily Telegraph first reported last year that Russell's commendable decision had left him on the outer with some senior Sharks identities. His decision to step away was confirmed in a statement on Tuesday morning. 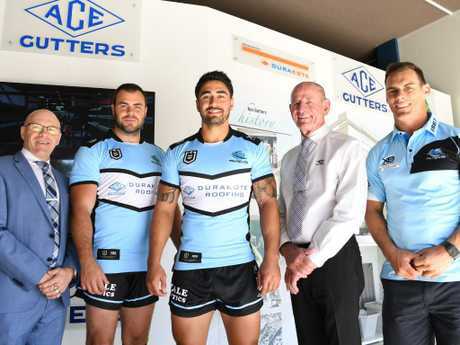 "It is with great sadness that I inform Cronulla Sharks members, fans and corporate partners that I have made the decision to resign from my role as Cronulla Sharks Group CEO," Russell said. "I will depart the club early April after ensuring we are salary cap compliant for the 2019 season. "It has been a very tough 12 months, both for the club and for me personally. As you are aware, there have been several challenges we have had to face and resolve, particularly concerning integrity, governance, finances, personnel and structural change within the business. "When I made the decision to self-report a salary cap discrepancy last year with the full approval of the board, I most certainly did not foresee all the issues that were to follow. CEO Barry Russell did plenty right. "As hard as it has been, I did however remain committed to seeing the club through these challenging times and set a new course of proper governance and integrity. "I'm proud that I've been able to clean this mess up and give the club every chance of success. "We are now through this very difficult period and I believe the time is right for the club to have a fresh start and be taken forward in a new direction. "A new CEO will have the opportunity to start with a clean slate, alongside our talented new coach John Morris, and build the best structure possible to lead the club forward without any negative remnants from the past 12 months. "I'm so proud of what I have achieved over the last year and see this as a real turning point for the club. It breaks my heart to walk away from a club that has done so much for me and I have a great love for. "This has been my greatest honour. I will always operate with the club's best interests at heart and I know this is best for our club and myself. "My love for and loyalty to the Sharks remains forever strong and I want nothing but its long-term success. The Sharks will be a powerful force during the 2019 season and well into the future." Russell's move came after The Daily Telegraph's Phil Rothfield lamented on Monday over what he believed was Russell's imminent decision to leave the club. "I think he went in there, he cleaned the place up, he found a major sponsor," Rothfield told Fox Sports. "I don't think his relationship with the board is crash-hot. "I think it'd be a huge, huge blow for the Sharks, but I don't see him being there for longer than a month."